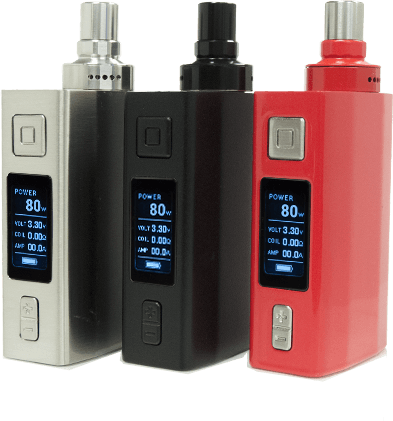 VaporFi’s first series of all-in-one sub ohm vaping devices, the VaporFi VAIO™ temperature control series combines style, precision and power in one convenient design! Their built-in tanks make the worry of finding compatible setups a concern of the past. 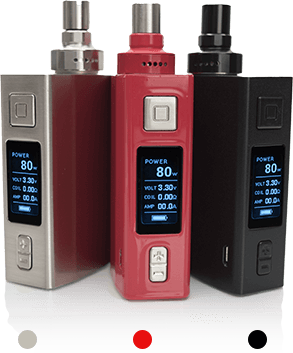 Dial in your preferred settings with its temperature control feature to keep your coil temperature at a fixed rate, no matter what your preferred vaping style is, whether it’s little inhales, big inhales, mouth to lung inhales, straight to the lung inhales or Olympic style chain vaping, the VAIO has you covered. 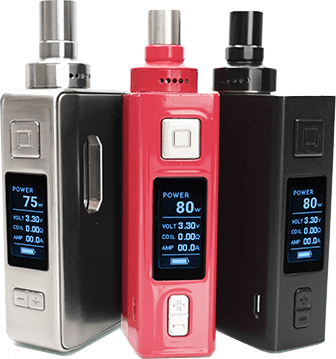 Select from a built-in battery or removable battery option to experience the best comprehensive setup imaginable! 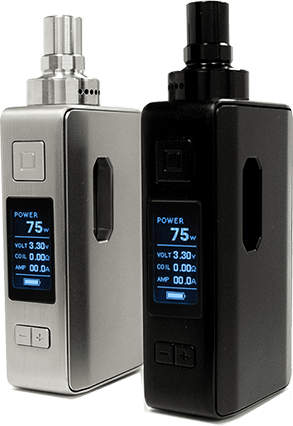 VaporFi’s most unique device, the VAIO™ 75 TC MOD combines removable battery technology and varying resistance options in an all-in-one vaporizer for the very first time! 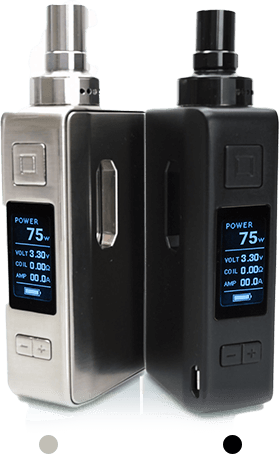 Switch out your batteries as you please without having to wait until your device is fully charged and also leave the worry of finding a compatible tank a thing of the past! For a comprehensive setup with mega convenience, the VAIO™ 75 is for you! Boasting an output of 1-80W, the VAIO™ 80 TC all-in-one vaping device provides unmatched vapor production and flavor! With a built-in tank and battery, the convenience of this device surpasses anything you’ve seen before!